The past year has been a particularly tumultuous one which has seen the wave of Middle Eastern revolutions, the Libyan war, the August Riots, the indignados and occupy movements, the Eurozone crisis, Hackgate, the continuing militancy of the anti-cuts movement and much more. Nottingham has felt the reverberations of many of these global events, with an Occupy Nottingham camp in the Market Square, anti-police riots, the biggest trade union march for decades and many solidarity and anti-cuts actions and demonstrations. 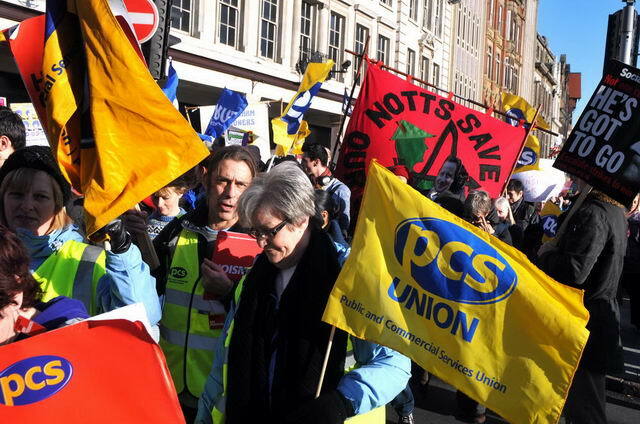 Come and join Notts SOS and make 2012 a year when the voices of anti-cuts campaigning cannot be ignored. This entry was posted in Road to success, What cuts and tagged city, county, cuts, tax. Bookmark the permalink.